All started with his album Saxappeal in 2003. 2007 followed Pride and Joy, then Realization (2009), and Good Day at Work (2013). 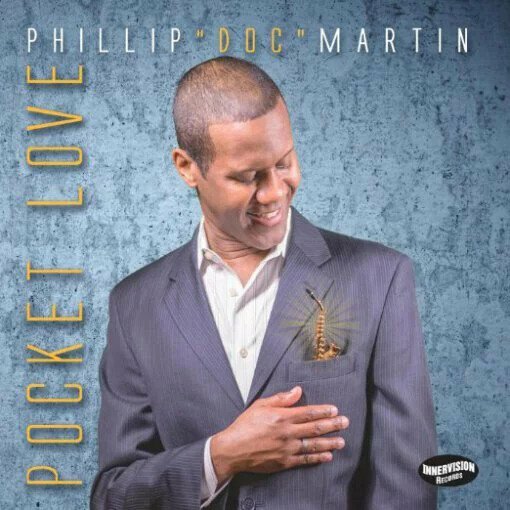 Pocket Love (2016) is his fifth album and was released on the label Innervision Records. His new album was produced by Marvin Tony Hemmings, who also plays keys on all tracks. Additionally are joining the project on selected tracks Greg Boyer (trombone), Paul Brown (guitar), Frank Brunot (bass, guitar), Courtney Leonard (bass), Luc Derival (guitar), Kenny Kohlhaas (guitar, vocals), Jeff Lorber (drum programming), Eddie Montalvo (percussion), Roger Smith III (bass), Jay Williams (drums), Marlon Winder (flugelhorn, trumpet) and many more. The band Smooth Jazz FHG consisting of seasoned and experienced musicians from the Inland Empire of Southern California, was formed in 2013. They are just a bunch of guys who love to play upbeat Contemporary Smooth Jazz exercising the musical gifts that God gave them. Their repertoire of songs consists of several songs of own composition plus other Contemporary Smooth Jazz standards. These songs are all performed in an upbeat Contemporary Smooth Jazz style. The aptly titled A Joyful Beginning is their debut album on now on sale at CDBaby. Dan Sistos is a prolific and sought after session and touring musician in the United States. He has played with some of the biggest names in the business, such as Christina Aguilera, and Toni Braxton. He has performed on major radio stations and on network television shows such as The Tonight Show with Jay Leno, the Late Show with David Letterman, Good Morning America and the American Music Awards. He was also the featured guitarist on the blockbuster video games, Assassin’s Creed Brotherhood and Assassin’s Creed Revelations. Dan’s debut CD, In the Midnight Hours, received rave reviews in music publications, and has been excitedly lauded by his fans. 20th Century Guitar Magazine hailed him a “Spanish guitar master” while Black Label Reviews declared him “the Carlos Santana for the next generation.” He was even nominated for Instrumental Artist of the Year at the Los Angeles Music Awards. Dan’s latest album, The Road To Euphoria, continues his tradition of blending classical, latin and jazz influences to create a sonic masterpiece that is truly out of this world. Dan’s newest album of jazz originals is called Ventura Blvd. Acoustic and electric guitars soar above intricate crafted melody and harmony. This album also features some of the best musicians in Los Angeles. It’s a must have for any jazz, guitar or music fan! Ventura Blvd is on sale at CDBaby. The Love Suggestions series are entitled Piano Night and Guitar Night. This year Konstantin Klashtorni will probably release Sax Night. That sounds like one instrument on each album in the lead. Konstantin comments꞉ “True, that was my idea, it’s like a piano, guitar and sax player each recorded an album in the same vein. By the way, those are 3 instruments I like to feature on all my releases, I like the combination of different instruments a lot, depending on mood and kind of arrangement. I find it quite boring when only one instrument is playing hole song long, no matter how good it is. 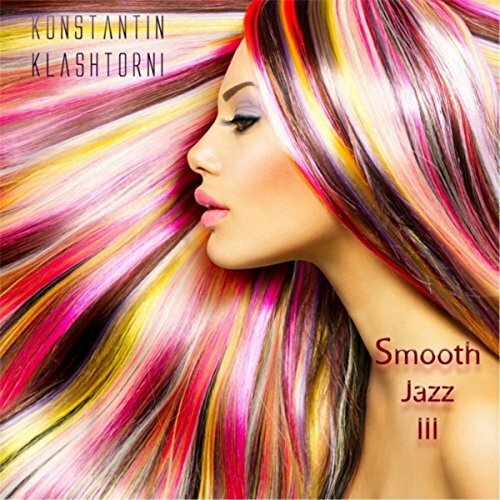 Multi-instrumentalist Konstantin Klashtorni is certainly the most productive artist of the smooth jazz genre. Beside his solo projects he released series like Kool & Klean, Chillaxing Jazz Kollektion, Love Suggestions and Smooth Jazz. His newest album of the latter is Smooth Jazz III (2016). Jazz musician/Producer Phil Wilkinson spent two years working on this album. He is a multi instrumentalist and plays all instruments on the album. The album takes influences from Jazz, Pop, Brazilian music and RnB as well as a dash of India in there for good measure. The concept is a chill out vibe inspired by sunny days and the beautiful coast lines of Spain where he currently resides. Smooth Moves is a Smooth Jazz and Bossa Chill Out album to bring some sun and good vibes to your ears. Now on sale at CDBaby. Paulo grew up in a musical family (his father a pianist, his mother a singer, his siblings all playing instruments) and though he came upon the sax relatively late at age 15, he quickly became first horn player in his high school band and was playing professional gigs around the islands within a few years. Rather than accept a scholarship to North Texas State, he chose a more adventurous road by joining Hawaiian pop/rock band Kalapana, which had some success on the mainland but was most popular in Japan. After playing regularly and recording on all four of Kalapana’s albums from 1975 through 1979, Paulo recorded a solo album for Japanese release on Trio records. In addition to exposing him to the Japanese jazz audience. Tats in the Rainbow gave him the opportunity to work with legendary pianist Herbie Hancock. Paulo moved to Los Angeles in 1981 and quickly established himself by playing with percussionist Ray Armondo and a local R&B outfit featuring members of Rufus. Two years later, he caught his big break when Al Jarreau hired him for his touring band. The young saxman became an integral part of the Jarreau experience while touring the world for the next decade. Paulo also gained international recognition as a result of his work on Jarreau’s famed ‘Live in London’ release. In 1988 Paulo recorded his first Major solo release One Passion on MCA records which was critically acclaimed as one of the most influential recordings in contemporary Jazz. He has since released nine solo projects with the latest entitled Songs, a compilation of his compositions over the years and featuring two new tracks. Songs is now on sale at the world’s greatest independent music platform CDBaby.